"In this turbulent environment, we rejoice in being disciples of Jesus Christ. We see the Lord's hand all around us. Our destination is beautifully set before us. 'This is life eternal,' Jesus prayed, 'that they might know thee the only true God, and Jesus Christ, whom thou hast sent.' (John 17:3.) Being a disciple in these days of destiny will be a badge of honor throughout the eternities." It's very important for each of us to consider, as Jesus asked of the Pharisees, "What think ye of Christ?" 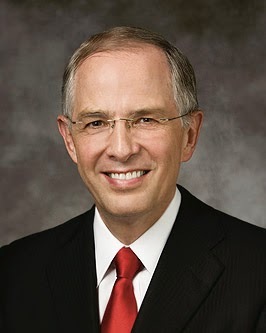 What we truly think of Him will determine how closely we follow Him and emulate His life and characteristics. 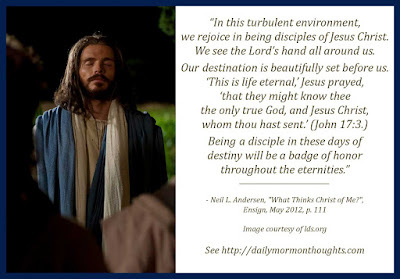 The corollary question Elder Andersen suggests we ponder is also profound: "What thinks Christ of me?" Of course, we do know that He loves each one of us and longs to help us succeed; but He also knows us each intimately and personally, and understands our hearts and motivations. So what He thinks of us is partly based on our personal righteousness, on our willingness to follow the commandments and serve Him humbly and unselfishly. In the beautiful passage from His great intercessory prayer, Jesus teaches us that eternal life consists in knowing the Father and the Son. 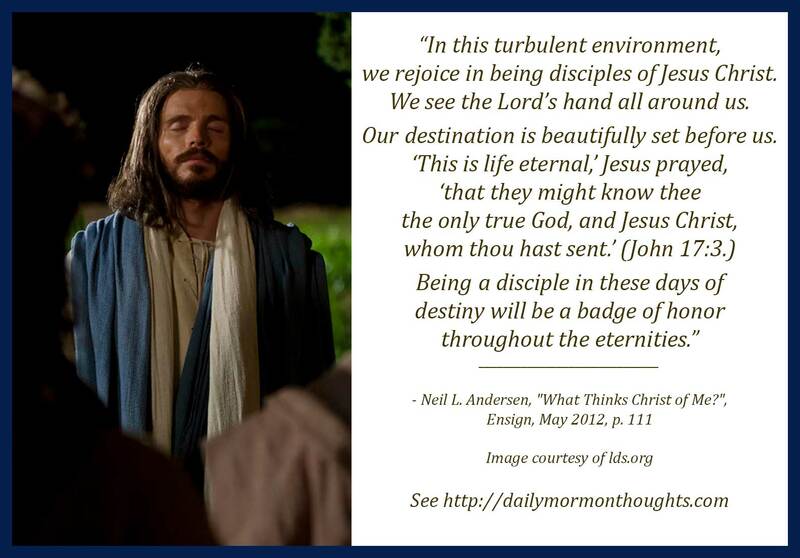 If we truly believe that to know Them is to love and follow Them, then the path of discipleship becomes clear for us and we will "rejoice in being disciples of Jesus Christ."